Forest Whimsy Applique 11 - 3 Sizes! 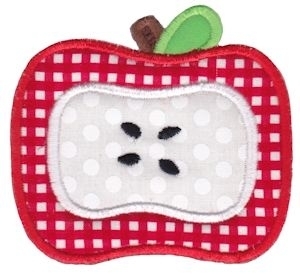 A cute, yet simple, applique for girls and boys. Includes 4x4, 5x7 and 6x10 sizes. PCS and SEW users will receive the 4x4 size only. Bunnycup Embroidery is giving 40% off all purchases! Promotion ends on 04/30/2019. Earn 3 points at checkout OR buy this item for 48 points. Forest Mouse - 2 Sizes! Forest Whimsy Applique Set, 21 Designs - 3 Sizes! This design is also available in a larger set. Just click on the "Forest Whimsy Applique Set, 21 Designs - 3 Sizes!" link above in the "You might also like" section for more information.